Added by intrigeri over 2 years ago. Updated almost 2 years ago. As the attached video shows, the new Greeter doesn't seem to allow unlocking a persistent volume in read-only mode. Is that by design and on purpose? Test suite: drop usage and tests of read-only persistence. apparently quite buggy and not widely used. advanced options). I don't know anybody using it. We already dismissed that option because there are real usecases (e.g. to shutdown Tails by removing the USB stick without loosing data). "Windows camouflage" for example, or the "Tor bridge mode". me that goes on the "advanced" screen. screen for the vast majority of uses. But it was not totally removed by design. I'm not going to engage in this UX discussion here, so I'm going to raise the question on tails-ux@. Given https://mailman.boum.org/pipermail/tails-ux/2017-January/003331.html we won't block on this for #12055 as far as 3.0~beta1 is concerned. Deadline for a final decision (+ consensus on mockups if applicable) is March 16. My gut feeling was that we could remove it and focus on issues that are affecting better identified scenarios and more users. Explaining that she uses read-only persistence because some months ago she lost some text in Writer with a read-write persistence and is now scared about loosing text again. Later on in the thread she reaches the conclusion that she probably had a faulty SD card or messed up with her setup. Asking for how to download files from the Unsafe Browser. Reporting that Icedove does not work with accents in passwords. I wouldn't be surprised if Icedove behaved in a weird way when it's file system is read-only. The user stopped answering the thread and didn't lead the ticket to resolution. Reporting that the upgrade check files with read-only persistence. I couldn't find an answer from help desk. Reporting about failed upgrade checks. Unclear if it was related to read-only persistence. Someone reporting a bug with the Places menu when in read-only. Someone asking about how to save the timezone. Someone reporting that KeePassX is not read by Orca. Someone reporting about the absence of on-screen keyboard in Greeter. Reporting problems with super custom persistence: ~/.config, ~/.cache. So from these 11 reports, 4 were from someone using read-only when she really shouldn't (m...@r...), 3 were about stuff that otherwise work well with read-write persistence (74c7c75, bee48a2, 2627ef5), 1 was from someone who's trying hard to shoot herself in the foot (f94fb83). The most vocal user was actually using read-only while she actually shouldn't have and ran into other problems as a consequence. The absolute number of 3 is extremely small. We don't have solid user scenarios ourselves to defend this feature. I'm also in favor of removing it for the time being. intrigeri, spencer and me seems to aggre with this. I'm thus rejecting this issue. People who still need very badly to have a read-only persistence could still use a SD to USB adapter and a miniSD card which still have hardware read-only toggle like this one: https://images-na.ssl-images-amazon.com/images/I/4177OdJ0ZsL._AC_US218_.jpg. The extra cost is ~5€. I don't know how the software we ship behaves when it faces a filesystem mounted read-write, backed by storage that rejects writes. Some might work similarly to read-only persistence, some might just crash. When I tested this in a VM (by adding <readonly/> to the USB disk's section) the final mount points (e.g. ~/Persistent, ~/.gnupg) were read-only †. This will work for some applications, but it will work really poorly with applications that constantly writes e.g. Icedove. I guess it could be argued that users shouldn't use such applications when read-only persistence is enabled, but we certainly don't document this. So, IMHO, we cannot advertise sajolida's workaround without trying to explain this problem, which is a bit complex. OTOH, we could quite easily improve the situation: if we detect that the read-only flag is set for the persistent medium, then we enable read-only persistence (note that this is something we could do now even if we never re-introduce the user-visible Greeter option for read-only persistence). In fact, one way to look at the read-only persistence feature is that it is needed to properly support read-only switches on the persistent media. I'm reopening this ticket to check what you think about this solution. Thoughts? † This is because the /sys/block/sda/ro flag is set to 1. If some real hardware has a read-only switch that doesn't set that flag I'd expect major breakage, but I'm quite hopeful we won't see that since this flag is something that storage manufacturers seem to get right (unlike the removable flag). Meta: we've received very, very little feedback from users who suffer from the removal of this option in the 3.0~ series. This tends to confirm that very few people are using it. In general I'd rather see us (Foundations team, UX folks) focus on matters that bring value to more users than this one, so I won't spend any time on it unless a project-wide decision says this feature is important, should be prioritized, with a clear definition of its goals, scope and support level. Sorry to be the spoilsport here. I fully agree with intrigeri. Though, in general, I'm not sure that we should rely only on negative feedback from beta versions to check the value of a feature but here it was not our only indicator (we analyzed WhisperBack reports as well) and I'm not sure what we could do best with our current ressources. 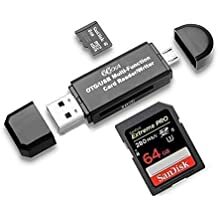 I proposed the idea of documenting SD to USB adapters as a cheap workaround but I'm dropping the idea since it seems to be more complicated that I thought initially.